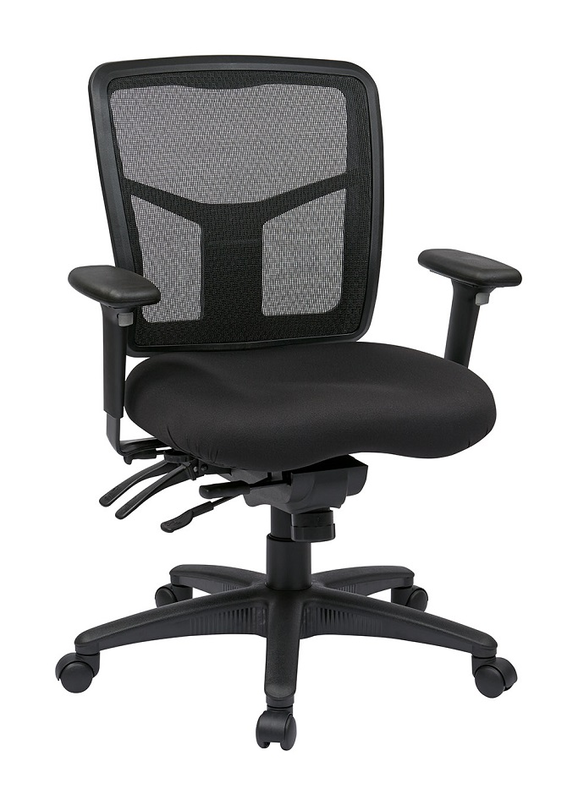 Affordable, yet modern ergonomic design are now within reach with the Pro-line High Back Customizable Office Chair. Durably constructed from a breathable and sturdy interweave mesh, the back of this chair is fabricated in a way that fosters comfort and good posture while providing the best in lumbar support. Designed to fit all shapes and sizes, the one touch pressurized controls allow you to fine-tune the seat tilt, seat depth, seat height, and arms rests to your specific comfort level providing for hours of extended comfort whether you are at work or in your home office. Add to cart now for online savings on this durable office chair.